Stonewall Fantasia ("Fanny") delivered her sixth consecutive leopard foal on March 11, 2015. 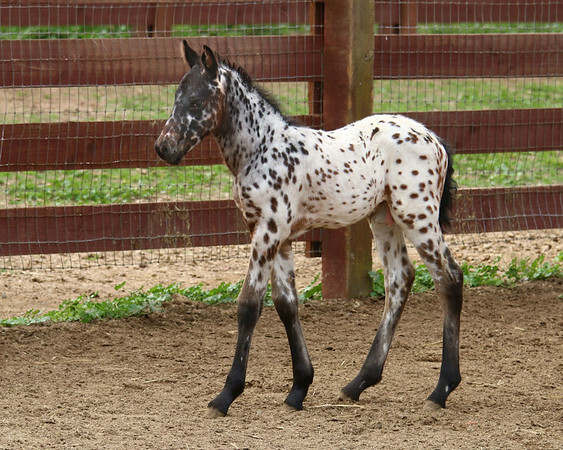 This striking tri-colored leopard colt is sired by the Friesian Sporthorse Prevailer LR. Photo credits: Michael Gene Stewart and Mary Aiu.